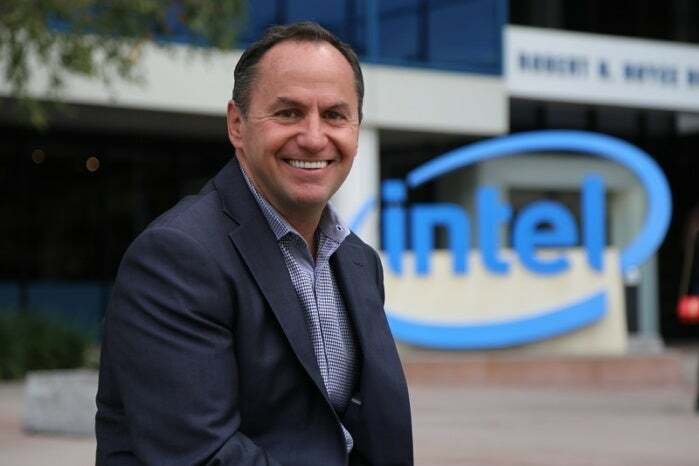 Intel's choice is a surprising one, as Swan reportedly didn't want the job. After searching more than half a year for a new chief executive, Intel decided the best candidate was the guy already running in the company: Robert “Bob” Swan, the “acting” and now permanent CEO. Technically, Intel promoted from within to hire Swan, who had served as the company’s chief financial officer since 2016. But Swan’s resume paints him as an outsider, with stints at fab tools maker Applied Materials, and nine years as the CFO at eBay. Swan has had CEO experience, but only running Webvan, an online grocery service that entered bankruptcy in 2001. As the chief financial officer, Swan’s role within Intel was often behind the scenes. To many, then, he’s a closed book. Intel’s message in announcing Swan is of a guy determined to stay the course. Take, for example, Swan’s letter to his employees, partners, and customers. We learn little: Swan’s four key takeaways are that Intel will be “bold and fearless,” that its strategy of transforming from a PC-centric to a data-centric company remains unchanged, that it must continue to execute, and that it must continue to evolve its culture—boldly. Not a lot of insight there. In fact, Intel chairman Andy Bryant, himself a former CFO, arguably did a better job summing up where Intel is now than Swan did. “As Intel continues to transform its business to capture more of a large and expanding opportunity that includes the data center, artificial intelligence and autonomous driving, while continuing to get value from the PC business, the board concluded after a thorough search that Bob is the right leader to drive Intel into its next era of growth,” Bryant wrote. Not much, but it’s something. Really, though, what’s always been in question at Intel was how firmly the company believed in its strategy. Processors, especially for the PC and data center, remain the company’s lifeblood. Go too far astray, and Intel wanders into the embedded and IoT markets where the competition heats up. Intel’s had an on-again, off-again relationship with communications, too. For the last few years, former chief executive Brian Krzanich’s keynotes at the Consumer Electronics Show were a circus of drones and sensors. This month, at CES 2019, “IoT” wasn’t mentioned once. What Swan and Bryant seem to be signalling is that Swan will be a hands-off type of guy, more inclined to let Intel’s business leaders set the direction as opposed to aggressively charting his own vision. It’s not hard to imagine that he’ll ask for a solid business case, too. “Leadership is a team sport and is about bringing together the team, setting the direction and letting the team be unencumbered – so they can achieve things nobody thought was possible,” Swan wrote in his letter. There’s no question that Swan has succeeded in the seven months or so since former CEO Brian Krzanich unexpectedly stepped down last June. But it’s also unclear how Swan plans to proceed. Take execution, for example. Intel has clearly struggled in its shift to 10nm processors, which are several years late and aren’t expected to launch until the holiday season. But Intel’s chief operating officer Kim Stevenson quit in 2017, without a direct replacement. While Intel would like you to believe that announcing “Ice Lake” and other 10nm chips at CES means that its production woes have been solved, it still hasn’t shipped those chips for revenue yet. There’s still room for error. If this theory is correct—and we won’t know until more of Swan’s moves are made public—Intel should continue tip-toeing into the IoT market, and continue pushing into “edge” computing with new investments in AI and related technologies. Intel has always recognized that data fuels the processors that are the engines of its own growth. Without enough data, those processors become less valuable. So if Intel’s chips don’t have enough data, it’s Intel’s job to enable more. At the same time, applying analysis to that data adds additional value. What does this mean for the PC market? Over the past few years, it’s become damn difficult to continually push the envelope in processor innovation. Clock speeds have begun topping out between 4GHz to 5GHz, and the emphasis has shifted to additional cores—which software developers still struggle to fully use—and lower power, part of which is a component of process technology. For now, there’s no suitable high-margin, high-revenue replacement available for the PC processor market. In a sense, then, Intel’s future is already set: continue driving forward in the PC space, make gobs of money from the datacenter and Xeon chips, and continue investing in IoT to help further synergies in Intel’s ecosystem. It’s up to Swan to decide how quickly Intel evolves.